Buy Melissa K. Vassar-Belloso a Coffee. 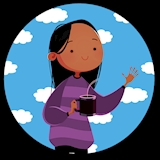 ko-fi.com/meinav - Ko-fi ❤️ Where creators get paid by fans, with a 'Buy Me a Coffee' button. I am a hobbyist digital artist,blogger, and aspiring author with a strong passion for character design. I am currently pursuing self-publishing my first book the Character Designer's Journal. I also write weekly blogs on mental health and creative topics and create character design resources. Every dollar helps me bring my book closer to being published and allows me to continue creating. You can also check out my Patreon at https://www.patreon.com/meina and become a patron for as little as $1/month. Patrons get exclusive content previews,perks like being able to send me character requests, and eligibility for awesome post-publishing rewards and unique opportunities related to my upcoming book. Secured Payments. Support goes to Melissa K. Vassar-Belloso's account. Upgrade Melissa K. Vassar-Belloso to a yearly Gold Membership with a one-time payment.